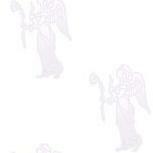 Love can sometimes seem remote becaue the Heart Chakra is closed. Rose Quartz has long been known as the Love Stone. These stones are used to activate the Heart Chakra and bring the joy of love into your life. 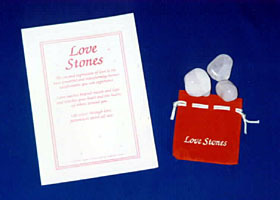 This kit is designed to encourage and express love and draw a spiritual closeness between family and friends. How to draw love towards using the"Linking Stone"
Each kit contains 90gms of Rose Quartz tumbled stones (number of stones may vary according to size), an attractive suedette drawstring pouch and comprehensive instructions. Suitable for all ages from 9 yrs. Click here to discover Heart Chakra Incense Sticks.